Urinary tract infections (UTIs) are usually simple to treat, but sometimes they’re indicative of an underlying condition such as benign prostatic hyperplasia (BPH) or stone disease. 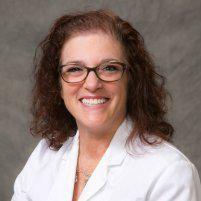 Abbey Gaske, MD, is a urologist in Torrance, California, with nearly 20 years of experience bringing compassionate and personalized care to men and women in both the South Bay and greater Los Angeles area. If you have UTI symptoms like pain or a strong urge to urinate, call Abbey Gaske, MD, or schedule an appointment online today. Your urinary system includes your kidneys, ureters, bladder, and urethra. When you have a urinary tract infection, it usually develops in the urethra and bladder. UTIs occur when bacteria multiplies out of control. In most cases a UTI is easily treatable, but it can spread to your kidneys if left untreated. Sometimes, a urinary tract infection is indicative of other issues like kidney stones, an enlarged prostate, or urinary tract abnormalities. Many women also have pressure or pain in the pelvic area or lower abdomen when they have a urinary tract infection, especially near the pubic bone. Dr. Gaske diagnoses a urinary tract infection with a urine sample. If you have chronic UTIs or infections that are difficult to treat, she might recommend additional testing like an ultrasound, CT scan, or a cystoscopy to check for signs of urinary tract abnormalities. For male patients, she might also recommend a digital rectal exam (DRE) or prostate-specific antigen (PSA) test to look for potential prostate issues. In most cases, UTIs clear up quickly with a few days of antibiotics. For recurring or persistent UTIs, Dr. Gaske might suggest long-term antibiotics or single-dose treatments to use following sexual activity. For women in menopause who are having an increase in UTIs, she might recommend topical vaginal therapy or additional noninvasive therapies. To find relief for your urinary tract infection and rule out other conditions that could be causing your symptoms, call Abbey Gaske, MD, or schedule an appointment online today.